Just dropping a quick post here – I realized that I have never thrown these up on the site! 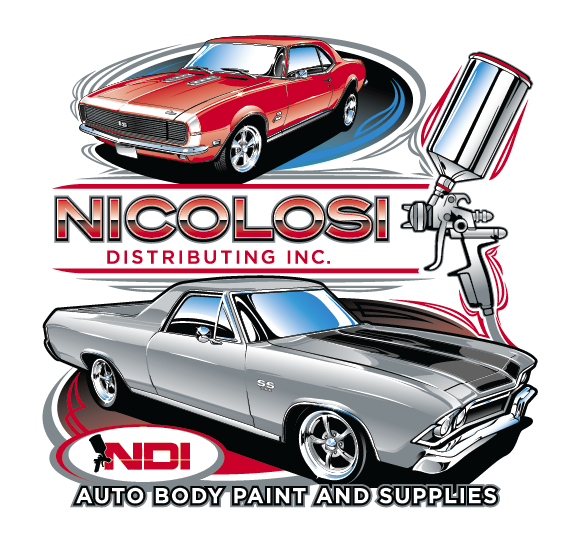 Several years ago I was contacted by a Bay Area Auto Body Paint and Supplies business – Nicolosi Distributing. 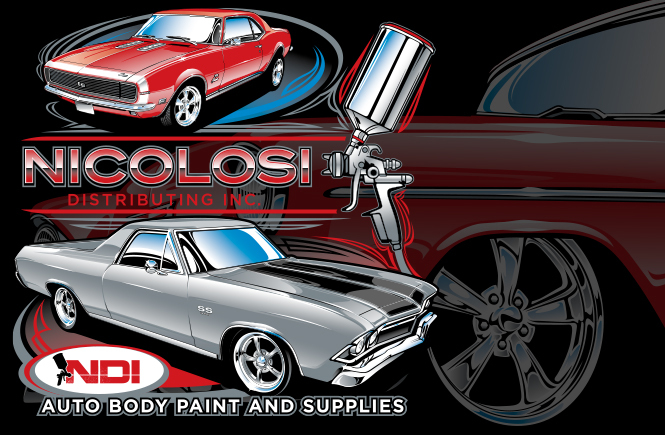 They were looking for a design that showcased a couple of slick Chevrolets – a 1968 Camaro SS and a 1968 El Camino SS. This is the design that ended up going on their first round of shirts! 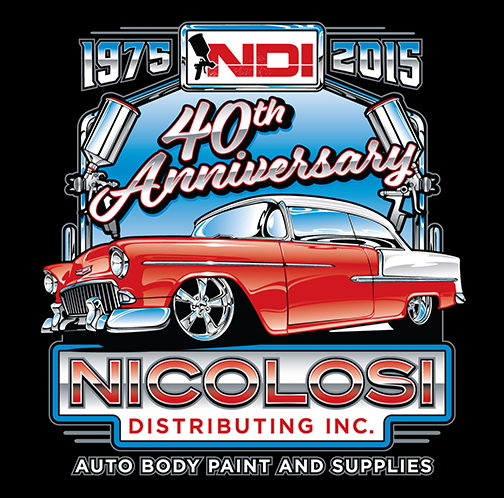 Fast forward to 2015 when I was contacted again to create yet another awesome design celebrating their 40th year in business. This time we went with a cool resto-mod ’55 Chevy and lots of chrome in the design. They were recently printed and came out awesome! Both designs were created as vector art in Adobe Illustrator, keeping spot colors to a minimum to help with printing costs. It’s easy to create awesome designs if you plan ahead with your use of color!